Life is sweet and we have so much to be thankful for. Having a family is wonderful and sharing time with them is amazing. There are so many sweet moments to enjoy and we all need to try to slow down from our busy lives and enjoy it as best we can. From the big and very special, like going to Disney on vacation, to the small and everyday, like a family group hug before bedtime, life is full of sweet moments to cherish and remember. We all have so much going on, I know, but I really think trying to make the day sweeter for your family is an important part of life and of being a parent. There are a lot of ways I try to sweeten things up in our lives. I really do my best every day. For example, I include a funny joke in the kids’ lunchboxes every day. Sure, it’s a little thing, but it’s fun and they look forward to it. Maybe I’ll throw in a little piece of candy, too . . . just enough to put a smile on their faces. Another example of sweetening things up would be a few small touches added to our movie nights. The popcorn is always served in an “authentic” popcorn box, we turn all the lights down, and we pretend we’re in a real theater with “previews” and messages like “turn off cellphones.” We recently picked up a small cotton candy machine to make the movies that much sweeter. Who doesn’t love a carnival? I try to make our family trips a little bit sweeter, too. Sometimes I like to make up a special T-shirt to commemorate the trip or create something unique to stick to our hotel room door. The kids love it, the pictures during the trip just pop, and the memories seem to be just a touch sweeter. When possible, I sometimes like to call the hotel ahead of time and see if they can put something special in the room before we arrive — flowers, a plush toy or a tray of something yummy. Yes, I know, it can sound over-the-top, but the thrill on the kids’ faces and the delight they get really makes it worthwhile . . . we can save some of that money elsewhere on the trip! Back to the everyday!! Breakfast is a big deal, right? It’s the most important meal of the day and it could be (if done right) the most enjoyable thing you will eat all day long. It gives you the energy to get you going, and if you have a tasty breakfast, it just gets the morning off on the right foot. Breakfast may be our favorite meal of the day. 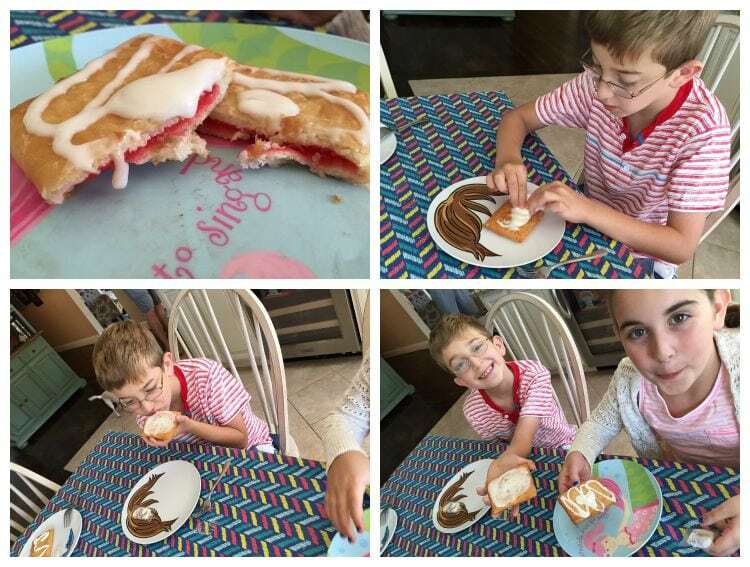 A great way to sweeten up your breakfast has to be enjoying Pillsbury Toaster Strudel™ Pastries. This is a fantastic way to start the day, and the kids absolutely can’t get enough! Right now is a fantastic time to pick up some Toaster Strudel™, as the brand is celebrating its 30th birthday by putting 30% more icing in all Toaster Strudel™ packages!! 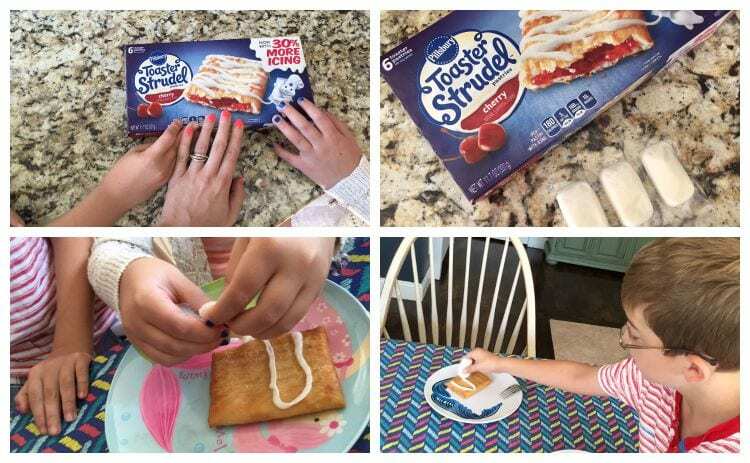 In just minutes, you can enjoy Pillsbury Toaster Strudel™ pastries — convenient treats with sweet filling, creamy icing, and flaky crust. How sweet is that? How do you try to make your family life a little bit sweeter? I would love to hear all about it. The more ideas, the better! !